Dass das Teilen in der Gesellschaft der Gegenwart einmal eine so große Rolle spielen würde, hätte bis vor kurzem wohl kaum jemand vorausgesagt. Diese neue Bedeutung des Teilens ist wohl eine der überraschendsten Entwicklungen des frühen 21. Jahrhunderts – überraschend, aber nicht unerklärlich. In den vergangenen zehn Jahren gab es zahlreiche Entwicklungen, die Bedingungen schufen, in denen sich neue Praktiken entfalten konnten und die Rolle des sozialen Zusammenhalts und des Teilens neu gesehen werden. Beiträge zum Thema gibt es von Manfred Faßler, Volker Grassmuck, Doreen Hartmann und vielen anderen. Das Buch gibt es für EUR 27,90 auf Papier oder kostenlos in der PDF-Version. I ran across the phrase "intellectual disobedience" while putting together questions for an interview with artist Nina Paley (@ninapaley). Paley is active in the free culture space, so I figured the "intellectual" portion of that term must be related to "intellectual property." During our chat, I learned there's much more to it. "Intellectual disobedience is civil disobedience plus intellectual property," Paley explained. "A lot of people infringe copyright and they're apologetic ... If you know as much about the law as, unfortunately, I do, I cannot claim ignorance and I cannot claim fair use ... I know that I'm infringing copyright and I don't apologize for it." The phrase "intellectual disobedience" has a call-to-arms ring to it, but Paley characterized it as an introspective personal choice driven by a need to create. "It's important for me as an artist to make art, and the degree of self-censorship that is required by the law is too great," Paley said. "In order to have integrity as a human being and as an artist, I guess I'm going to be conscientiously violating the law because there's no way to comply with the law and remain a free human being." "I'm not hopeful for the laws changing. A lot of other people are, so maybe we'll have meaningful copyright reform. I doubt it, and I don't think it matters. I think the tools are available for people to create and share culture, and they're going to do that. They might be doing it illegally, and at a certain point, it's going to be more than the system can handle. I will say that if the power structure as it exists wants to continue, they're going to have to reform. It's not sustainable. 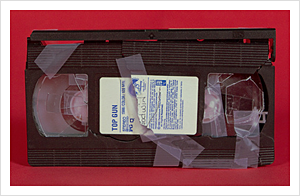 Copyright law, as it is, is just completely out of touch with human behavior." You can see the full interview in the following video. "The Open-Source Coffee Table Book: Publishing Pop Culture in the Digital Age" (Nina Paley's keynote from TOC 2009). Can open source reinvent the music business? The National Archives released the 1940 U.S. Census records on Monday, after a mandatory 72-year waiting period. The release marks the single largest collection of digital information ever made available online by the agency. 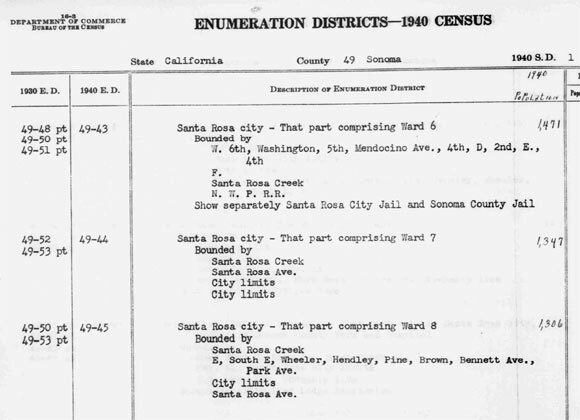 Screenshot from the digital version of the 1940 Census. The 1940 Census, conducted as a door-to-door survey, included questions about age, race, occupation, employment status, income, and participation in New Deal programs — all important (and intriguing) following the previous decade's Great Depression. One data point: in 1940, there were 5.1 million farmers. According to the 2010 American Community Survey (not the census, mind you), there were just 613,000. The ability to glean these sorts of insights proved to be far more compelling than the National Archives anticipated, and the website hosting the data, Archives.com, was temporarily brought down by the traffic load. The site is now up, so anyone can investigate the records of approximately 132 million Americans. The records are searchable by map — or rather, "the appropriate enumeration district" — but not by name. The Obama administration unveiled its "Big Data Research and Development Initiative" late last week, with more than $200 million in financial commitments. Among the White House's goals: to "advance state-of-the-art core technologies needed to to collect, store, preserve, manage, analyze, and share huge quantities of data." The new big data initiative was announced with a number of departments and agencies already on board with specific plans, including grant opportunities from the Department of Defense and National Science Foundation, new spending on an XDATA program by DARPA to build new computational tools as well as open data initiatives, such as the the 1000 Genomes Project. "In the same way that past Federal investments in information-technology R&D led to dramatic advances in supercomputing and the creation of the Internet, the initiative we are launching today promises to transform our ability to use big data for scientific discovery, environmental and biomedical research, education, and national security," said Dr. John P. Holdren, assistant to the President and director of the White House Office of Science and Technology Policy in the official press release (PDF). When the Girls Around Me app was released, using data from Foursquare and Facebook to notify users when there were females nearby, many commentators called it creepy. "Girls Around Me is the perfect complement to any pick-up strategy," the app's website once touted. "And with millions of chicks checking in daily, there's never been a better time to be on the hunt." "Hunt" is an interesting choice of words here, and the Cult of Mac, among other blogs, asked if the app was encouraging stalking. Outcry about the app prompted Foursquare to yank the app's API access, and the app's developers later pulled the app voluntarily from the App Store. "You may argue, the women signed up to be a part of this when they signed up to be on Facebook. No. What they signed up for was to be on Facebook. Our identities change depending on our context, no matter what permissions we have given to the Big Blue Eye. Denying us the right to this creates victims who then get blamed for it. 'Well,' they say, 'you shouldn't have been on Facebook if you didn't want to ...' No. Please recognize them as a person. Please recognize what that means." "It's useful to imagine the same software with a slightly different configuration. Girls Around Me has undeniably crossed a line. But what if, instead of finding women, the app was Hackers Around Me? That might be borderline creepy, but most people could live with it, and it might even lead to some wonderful impromptu hackathons. EMTs Around Me could save lives. I doubt that you'd need to change a single line of code to implement either of these apps, just some search strings. The problem isn't the software itself, nor is it the victims, but what happens when you move data from one context into another. Moving data about EMTs into context where EMTs are needed is socially acceptable; moving data into a context that facilitates stalking isn't acceptable, and shouldn't be." Much as I'm tempted to talk about Facebook privacy, I'm going to resist. Plenty has been written about Facebook and privacy, Facebook and "forced" sharing, Facebook and sharing by default, Facebook this and Facebook that. And I'm sure much more will be written about it. Tim O'Reilly has been supportive of Facebook. The company has frequently been clumsy, but it's also been willing to push the limits of privacy in ways that might be potentially creative and in ways that might potentially create more value for us than we give up. But none of the many reactions to Facebook get to the core of the problem, which isn't privacy at all. The real problem becomes visible when you look at it from the other direction. What effect does massive sharing have on the recipients? Let me ask the question in another way. Maybe I care if you see all the music I listen to; maybe I don't. Maybe I'm embarrassed if you find out that I mostly listen to dignified classical music but occasionally go slumming with Beyonce; maybe I'm not. But turn that around: while I might be interested in what you listen to, I have hundreds of Facebook friends; do I really care to be informed about what everyone is listening to? Do I really care to keep up with everything that they're reading? A little bit of information (cool, I didn't know that Bert Bates is a Dead Head) is interesting, but a deluge is The Big Snore. The other day, I read a perceptive article, "In Defense of Friction," arguing that "automated trust systems undermine trust by incentivizing cooperation because of the fear of punishment rather than actual trust." That's a profound point. If we rely on computational systems for a trust framework, we actually lose our instincts and capacity for personal trust; even more, we cease to care about it. And there's a big difference between trusting someone and relying on a system that says they're trustworthy. Taking this a couple of steps further, the article points out that, to many people, Facebook's "frictionless" sharing doesn't enhance sharing; it makes sharing meaningless. Let's go back to music: It is meaningful if I tell you that I really like the avant-garde music by Olivier Messiaen. It's also meaningful to confess that I sometimes relax by listening to Pink Floyd. But if this kind of communication is replaced by a constant pipeline of what's queued up in Spotify, it all becomes meaningless. There's no "sharing" at all. Frictionless sharing isn't better sharing; it's the absence of sharing. There's something about the friction, the need to work, the one-on-one contact, that makes the sharing real, not just some cyber phenomenon. If you want to tell me what you listen to, I care. But if it's just a feed in some social application that's constantly updated without your volition, why do I care? It's just another form of spam, particularly if I'm also receiving thousands of updates every day from hundreds of other friends. So, what we're seeing isn't the expansion of our social network; it's the shrinking of what and who we care about. My Facebook feed is full of what friends are listening to, what friends are reading, etc. And frankly, I don't give a damn. I would care if they told me personally; I'd even care if they used a medium as semi-personal as Twitter. The effort required to tweet tells me that someone thought it was important. And I do care about that. I will care much less if Spotify and Rdio integrate with Twitter. I already don't care about the blizzard of automated tweets from FourSquare. Automated sharing is giving Facebook a treasure-trove of data, regardless of whether anyone cares. And Facebook will certainly find ways to monetize that data. But the bigger question is whether, by making sharing the default, we are looking at the end of social networks altogether. If a song is shared on Facebook and nobody listens to it, does it make a sound? This post originally appeared on Joe Wikert's Publishing 2020 Blog ("Publishing in the Social World"). It’s republished with permission. I spent most of last week at the Web 2.0 Summit in San Francisco. If you missed it, you'll find all of the video for it here. I came away from it with two things in mind. First, Google is under attack from every angle. Sure, they've felt competitive pressures before, but whether it's from Facebook, Bing or some startup in a garage, I get the impression it's more intense now than ever before. No wonder they're giving all employees a 10 percent pay raise! Seriously, search is getting more social every day and tomorrow's recommendations from people you know via Facebook are infinitely more valuable than search results from yesterday's algorithm. That brings me to my second key takeaway from Web 2.0: The importance of a social strategy for every industry, including publishing. I can already hear the skeptics saying, "reading is a time of solitude, not something that's done socially." That's mostly right, but it ignores at least two key areas where a social strategy can have a profound impact on the publishing industry: recommendations and remixes. What's missing in the recommendation area though is a fast and easy way to share excerpts. If I come across a terrific sentence or paragraph I want to share from Drew Brees' ebook, "Coming Back Stronger" (a terrific read so far, btw), what are my options? The Kindle reader on my iPad doesn't offer a way for me to even tweet/email from within the app, let alone share an excerpt. Even though Google lets publishers determine what percentage of a book visitors can view for free in their Books service, it's clear many publishers aren't participating. For example, I've queued up Bill Bryson's "At Home" to read soon but all you'll find about it on Google Books is this content-free catalog page. The merging of publishing and digital tools will be addressed at the next Tools of Change for Publishing conference (Feb. 14-16, 2011). Save 15% on registration with the code TOC11RAD. Any publishers who are skittish about sharing content previews today are likely to choke on the idea of content remix in the future. Remix isn't great for all types of content but it lends itself to formats like how-to, for example. The author may have one way of solving a problem but a reader might find an even better approach. Why not make that reader's solution available to other readers, even if it's just a small change to one of the steps originally provided by the author? Some readers will offer their approach for free and others might want some form of compensation; we need to come up with a model that supports both. And remember, nobody's trying to jam these remixes down anyone else's throat. I envision an ereader app that lets you hide all other reader comments and content. But for those of us who are curious to see what other readers, especially our own friends, have to say, I think this will be a nice new service. The social publishing/content options suggested in this post are things that can't effectively be executed upon in the print world. Up to now, ebooks have mostly been nothing more than quick-and-dirty conversions of the print product. I look forward to a future where social options and other features more fully leverage the ebook medium. In a previous interview here at Radar, author and Web 2.0 Summit speaker Lisa Gansky (@instigating) discussed both the defining characteristics and the companies related to "The Mesh." Mesh organizations use data, networks, and offers of shared goods and services -- i.e. things people can access without owning them -- to actively engage with customers. ZipCar is "meshy," as are Netflix, Amazon Web Services and others. There's a number of concepts that plug into The Mesh; continuous deployment, lean startups, open web, and the like. I got in touch with Gansky to get her take on some of these broader/adjacent ideas. Our interview follows. What's the connection between The Mesh and things like continuous deployment, lean startups and perpetual betas? Is there a connection? Lisa Gansky: Absolutely. An organization that is capable of continuous deployment, for example, understands that we operate in an always-on, continuous touch environment. Frequent updates of the deployed offerings -- especially when combined with fresh, transparent and authentic communication -- clearly show where the product is in its evolution, including the holes. Likewise, lean startups can use teams, tools, platforms and partnerships that are organized around convenient access to goods and services, rather than traditional ownership-based models. This orientation and capability allow many early-stage companies to get into the market, grab the attention of early customers and investors and grow by learning ahead of competitors. As for perpetual betas, they have certainly become a core aspect of web-based services. Companies that put the "beta" stamp on an offering provide "air cover" for testing raw ideas, the user experience, brand positioning and specific offers. Beta has become code for: "Don't be impatient with us. We're inviting you into our not-ready-for-prime-time attempts and we want your feedback." Betas are two-way. They invite high levels of engagement and provide a cloak of cover as the product is still in the kitchen. Trials, testing and tweaking are all essential elements of these perpetual betas. Interestingly, some companies have never removed the "beta" from their products. The beta stamp seems to to create a level of freedom for the team, and wonder for the user community. The theme of Web 2.0 Summit 2010 is "points of control." Does sharing run counter to points of control? Or, does a point of control form when a sharing community gains critical mass? LG: I think it means both. The differential of power in a world of sharing will become increasingly interesting to watch and important to engage with. Sharing -- or at least the illusion of sharing -- benefits all the parties as a new language and standards are formed, and expectations are being developed. Once a particular person, company or architecture has established a clear lead, then sharing, I believe, has been limited between the newly established point of control and others vying for position and leverage. As we see social networks become more sophisticated and action-oriented, I'll be curious to see if the critical mass shifts too quickly from one point of control to another. Will Google's dominance wane as Twitter, Facebook, Quora and other companies increasingly build social mass, brand equity and the capacity to activate large communities? It appears that as social networks grow in size and sophistication, the time it takes to launch and get traction behind a campaign, brand or technology may be shrinking. Will that erode the power of today's clear "points of control" in short order? Or will they need to further enhance peer-to-peer to maintain community power? Does The Mesh require an open web? LG: The Mesh thrives in an open anything. The sharing of data, networks, tools and teams isn't completely dependent on the web, but certainly the open web reduces the friction of sharing. It allows communities, value chains and ecosystems that are more responsive to opportunities and challenges to form and reform. They are, in many ways, more naturally formed and dissolved in an open environment. Lisa Gansky will examine sharing's influence on business at the Web 2.0 Summit, being held November 15-17 in San Francisco. Request an invitation. Will the debate about open systems versus closed systems continue forever because one will ascend and the other will be used to knock it down? LG: Let's hope not. My view is that the closed systems are an outgrowth of last century's premise that there is a finite amount of know-how and talent, so that isolating the intellectual property (IP) and owning it will create more value for a company and its shareholders. While it is hard to dispute that if you own an essential piece of technology, you have power, I believe that business models based on collecting royalties solely from licensing IP are becoming less important and less trusted. The necessity to build partnerships, ecosystems and systems to interchange assets (hard and soft), means that closed systems are at a disadvantage. One cannot predict from the beginning of the business which partners will be necessary or compelling. Given that, responsiveness, transparency and time-to-market favor the open model. Where do developers draw the line with Apple? Lisa Gansky joined me at GNN in 1994, which was the early days of the Web, long before an ecosystem of interconnected services emerged. After the sale of GNN to AOL, Lisa went to work at AOL for several years before going on to run Ofoto, a photo-sharing service that was bought by Kodak She's had a broad variety of strategic roles in a number of startups as well as large companies. Lisa is energetic and enthusiastic, and she's known as a person who connects people and ideas. So it's no surprise that her first book should do the same: "The Mesh: Why the Future of Business is Sharing." I recently interviewed Lisa by email about her new book. Lisa's key insight in "The Mesh" is that we are shifting from owning many products and services we use to sharing them and having them only when we need them. It's a time-sharing world. Lisa Gansky: Dale, first, thanks for that analogy to Unix. That's very insightful. The Mesh in many ways serves as a kind of operating system for shifting some core functionality in our cities, homes, work-lives and organizations. I believe it will have resounding impact. The opportunities newly available are similar to the transitions from "standalone" PCs to networked computers, and then to the mobile web. LG: I think that we are at the very beginning of this shift to an access lifestyle and economy. For people or companies who own things, there is a big opportunity to save money and generate valuable currency (cash and social), by sharing what we already own. Often, these are fairly expensive products and services to own outright and are used infrequently by the owner. Cars, boats, homes, factories, office buildings, web hosting, and large parcels of land are good examples. The owner, by making the product available when not in use, increases its utility, decreases costs, and creates a natural opportunity for coordinating in new ways with "ecosystem" partners-people or companies who are going to share something together. Businesses have been sharing many platforms for decades. Manufacturing, shipping, pick and pack systems, SaaS software for CRM, accounting and database management, sales team management and customer service are just a few. In our personal lives, DVDs (Netflix), Music (iTunes, Pandora and MOG), Couriers (FedEx, UPS), taxis, commercial airplanes, public parks and restaurants are things that we have been "sharing" happily. The Mesh difference is that with GPS-enabled mobile web devices and social networks, physical goods are now easily located in space and time. It has become very convenient to find a ride back from your meeting with someone heading to your neighborhood, or get a great deal for drinks close by, or locate an available home in a home exchange while traveling, or discover a new "popup gallery" near the dinner you're attending. The Mesh is about creating and managing what's perishable. It provides businesses with the ability to reach an audience of one, at a precise time. Likewise, someone can easily find goods and services just when they need them. For makers, it's a way to cast a wider net to reach other makers, share tools and workspaces, find inspiration by tapping into reclaimed goods, test a market and new platforms or business models. My expectation is that over time, people and businesses will become more comfortable with sharing some things while maintaining the option of deliberate ownership of some other tools, technology, teams, etc. What is considered "shareable" and when one may be interested in sharing it will depend on the phase of the business or life. It will likely increase as the bias toward sharing becomes more beneficial and convenient over time. LG: I was most surprised by the varieties of what I call the Own-to-Mesh businesses. These take things that we already own and make them available (part or full time), through a Mesh service. Some of my favorites here allow us to put our cars (used about 2 hours per day), into a Mesh system and not only increase utility, but generate money from what we own and don't fully utilize. A few of these include: RelayRides, Getaround and Spride Share. I also wasn't expecting to find that real estate beyond homes would be "Meshy." But, for example, I found the Brooklyn Grange Farm, New Work City, and popup stores to be quite surprising as Mesh businesses. They each showed me in unique ways that the value of commercial real estate is changing as new features of a building are viewed as assets. Roofs become valuable as urban farming gets legs. Brooklyn Grange Farm currently has a one-acre rooftop organic farm in Queens; they supply their food to local restaurants and participate in farmer's markets. Urban roofs used for growing local produce certainly increases the value of what was "there," but not truly valued previously. Likewise, popup stores are a temporal (here today and maybe not tomorrow) type of showcase that features a product, brand, or experience, but without the permanence of a leased full-time presence. This newfound capability gives cities and towns with vacant retail space a fresh vitality, while inviting energetic artists and entrepreneurs to "play" with a space for a short period without the obligation of a long-term lease. It is a strategy that clearly was provoked from the recession but is good for the community, building owner, and artist or merchant. It's Meshy, especially since these popup stores are found by the host tweeting, blogging, informing people from their Facebook page, and using mobile social services like Foursquare. Customers seek out these companies and brands. They follow them on Twitter or Facebook and receive updates to ensure that they know when the next event will be held. I am fascinated by the web-enabled "popup" -- it also moves all us to appreciate that things are perishable and takes advantage of two of the most powerful words in business: sold out. How is Kickstarter a Mesh company? I'm seeing a lot of makers and artists using it. LG: Kickstarter is a peer-to-peer funding platform for projects that leverage social networks to promote and drive support for artists, makers, and entrepreneurs. Those projects most successful on Kickstarter -- those that receive funding completely and quickly -- do so largely because the creator has a strong social network and invites people to be engaged. I really like Kickstarter because you don't have to be a Medici to fund the arts and sciences, or to get behind a big idea or a person that sparks your imagination. It's a type of microfunding directed toward creators. My view is that anything that is fueled by individuals and leverages the power of the web and social networks is, by definition, Meshy. Further, Kickstarter itself has funded several projects that are also Mesh businesses. One that I've invited to our Maker Faire NY Mesh event is New Work City, a Manhattan based co-work space that's really jelled. Are there certain kinds of products or services that don't fit the Mesh model? LG: As they are today, yes. But, almost any business or organization can be massaged into Meshiness. For example, a big box retailer can get Meshy by adopting a club or a services model. Selling products, letting the customers walk out the door, and then essentially waiting to re-engage those customers until they decide they need a new one of whatever it is that they bought, ignores the power of the Mesh almost completely. But a way to modify and expand that model would be to invite customers to bring back products that don't work, or that they don't use. You could create a "matching" service where customers who desire a canning set or drill will be invited to the company's monthly "popup exchange." There, people looking to lighten their load would have the satisfaction of seeing their things go to someone who can actually use them -- and make money back or gain a branded currency for new exchanges down the road. With this type of Meshy offering, the retailer is at the center of all of these transactions and is in a strong position to redirect goods physically. They're also using the power of the web, mobile, and social networks to allow customers to say what they are looking for. As we follow our product through its lifecycle, there are many more opportunities to be in touch with customers and partners. As makers, being connected to the "reverse supply chain" of some of these retailers is likely to provide rich new fodder, both for materials to work with and customers to enchant. Lisa Gansky will moderate a panel at World Maker Faire at 2pm Saturday on Center Stage, which is in the Auditorium inside the NY Hall of Science. "Creating a Mesh of Things" will feature John Caplan of Open Sky, Perry Chen of Kickstarter, Tony Bacigalupo of New Work City and Scott Boggs of the Spotted Pig restaurant and farm.